Will Paige VanZant's Rise Come to a Halt Against Joanne Calderwood? Some might say there’s no striker in the UFC who’s flashier than Anthony “Showtime” Pettis. The former lightweight champion delivers moments that live on forever in highlight reels. Now, he brings his special brand of flashy stand-up to the UFC’s welterweight division for a showdown with perennial contender Stephen “Wonderboy” Thompson. Pettis is known for his dramatic displays of striking prowess, including the “Showtime” kick that nearly stopped Benson Henderson at WEC 53 in 2010. Since the UFC absorbed Pettis’s former home, the Roufusport fighter has gone on to post an 8-7 mark inside the Octagon and capture the belt with a win over the aforementioned Henderson in the pair’s rematch in 2013. Unfortunately, six of his seven losses have come over the course of his nine most recent outings. Pettis has tried everything, including a short stay at featherweight. This time, he’s hoping a move up to the welterweight division will bring him a newfound run of success. Thompson, a black belt in karate, stands in the way of Pettis. The “Wonderboy” has come within a hair of claiming the UFC’s welterweight title on two occasions against Tyron Woodley. With Woodley’s recent dismantling at the hands of Kamaru Usman, Thompson has hope for a third run at the strap. A win over Pettis would go a long way to cinch up another title bid for the 36-year-old. 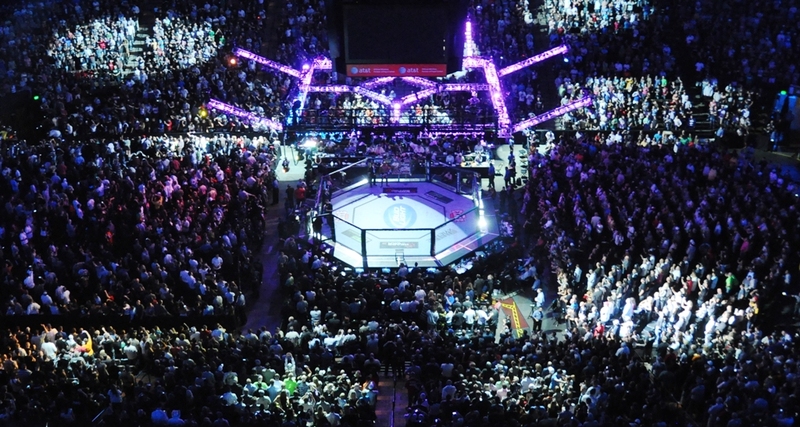 The welterweight headliner caps off a main-card lineup that also includes a heavyweight clash between Curtis Blaydes and Justin Willis, a lightweight battle between John Makdessi and Jesus Pinedo, a flyweight scrap featuring Jussier “Formiga” da Silva and Deivison Figueiredo, a featherweight dance between Luis Pena and Steven Peterson, and a women’s flyweight affair that pits Maycee Barber against JJ Aldrich. The action gets underway from the Bridgestone Arena in Nashville, Tenn., at 5 p.m. ET on ESPN+ with the six-fight preliminary card. The main card also airs live on ESPN+, with a start time of 8 p.m. ET. Combat Press writers Matt Petela and Bryan Henderson preview the festivities in this edition of Toe-to-Toe. Longtime lightweight Anthony Pettis moves up to the welterweight division and dives into the deep end of the pool immediately with a fight against former title challenger Stephen “Wonderboy” Thompson. Will Pettis win this fight and become an immediate member of the welterweight elite? Petela: I don’t see this move to welterweight as a long-term solution for the former lightweight champion Pettis. 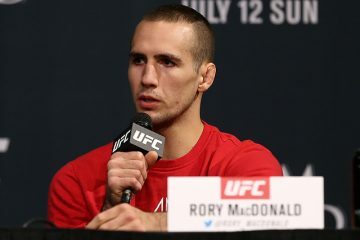 It was just two and a half years ago that he made the move down to featherweight after a three-fight skid at 155 pounds. For someone who struggled to deal with the physicality of some opponents at lightweight, the move up a weight class could end up being disastrous. That shouldn’t come into play in this fight, though, as both men are more known for their prolific striking as opposed to being grinding grapplers. Pettis has the more versatile ground game, but I’d be surprised if he looked to take down the bigger Thompson. This should be an exciting fight almost exclusively contested on the feet, though I thought the same would be true when Michael Page met Paul Daley at Bellator 216. The size and length difference should decide this fight. 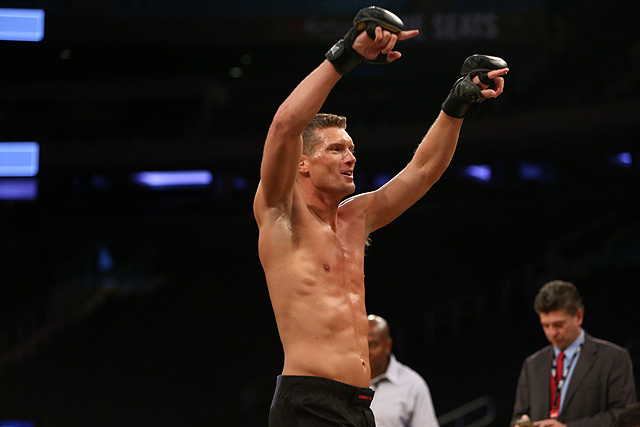 “Wonderboy” should be able to come away with a convincing victory. The one advantage Pettis might have is that his longtime coach and chief corner, Duke Roufus, has game-planned twice before for Thompson in title fights against Tyron Woodley. 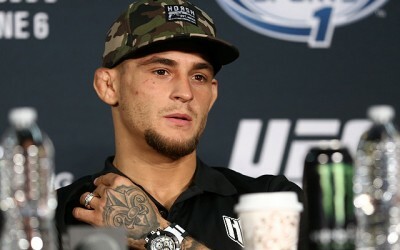 Unfortunately, Pettis doesn’t possess the skills that Woodley was able to use to nullify Thompson’s world-class striking, making this a one-and-done trip to 170 pounds for Pettis, who will find himself at yet another crossroads in his career. Henderson: The move to welterweight sure is a puzzling one for Pettis, but what else is a guy to do when he’s won just three of his last nine fights? Pettis is looking for answers by moving up in weight. It’s tempting to say it won’t work, but guys like Donald Cerrone, Anthony Smith and Thiago Santos may beg to differ. Pettis tried the move down to featherweight, and that didn’t work out so well. Maybe bulking up is a better answer. The bigger issue is that the Roufusport fighter doesn’t just get to ease into the division the same way Cerrone did with fights against Alex Oliveira, Patrick Cote, Rick Story and Matt Brown. That’s not a knock on any of those guys, but they do fall a rung below the level of a perennial contender like “Wonderboy.” If Pettis had the opportunity to prove himself at 170 pounds against a similar gauntlet of opponents, then his performance against Thompson would be far easier to predict. As it stands, we can’t be sure how Pettis will look with an additional 15 pounds on his frame. Will his speed remain intact? Can he showcase his flashy, improvised striking techniques? 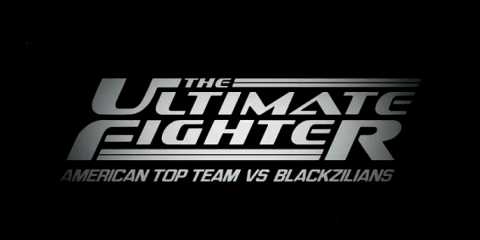 Will it make any difference against a skilled kickboxer and karate specialist? The former lightweight champ won’t be as outmatched as you’d think, though. He’s only giving up three inches in reach and two inches in height to Thompson. That’s far from unsurmountable. The more pressing concern is whether Pettis still has “it” at this stage in his career. 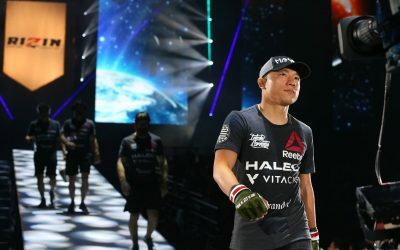 The 32-year-old has been in a number of big fights, but he came out on the wrong end of decisions against Rafael dos Anjos, Eddie Alvarez and Edson Barboza and the wrong end of stoppages courtesy of Max Holloway, Dustin Poirier and Tony Ferguson. He’s capable of beating the likes of Charles Oliveira, Jim Miller and Michael Chiesa, but struggles with anyone higher up the food chain. Well, Thompson was very close to emerging at the top of the welterweight food chain. So, barring a complete rebirth with the move up in weight, Pettis is most likely destined to suffer another loss here. Heavyweights Curtis Blaydes and Justin Willis have combined for nine UFC wins and just two losses — both from Blaydes against Francis Ngannou. Which one of these big men emerges from Nashville with the win? Henderson: This is an excellent chance for Willis to cement his standing as one of the rising heavyweight contenders in the UFC. He already holds a decision nod over Mark Hunt, but Hunt isn’t exactly the force he was a couple of years ago. Blaydes, on the other hand, is an established contender with a resume that includes victories over Alexey Oleinik, Hunt and Alistair Overeem. If Willis can win this one, he punches his ticket into the upper tier and possibly a title eliminator. Blaydes is obviously not going to be an easy fight, though. 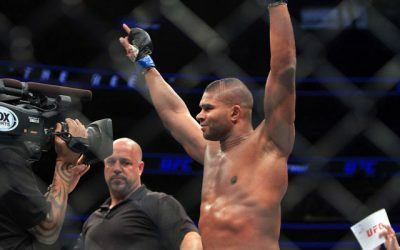 The skilled wrestler smashed through both Overeem and Oleinik, and he also recorded a finish of Cody East inside the Octagon. Prior to joining the UFC roster, he demolished five opponents via strikes. Only Ngannou’s power has proven to be kryptonite to Blaydes thus far. Willis has a ways to go before he makes a believer out of me. His pro debut was a technical knockout loss, and he also suffered TKO defeats in two of his three amateur bouts. 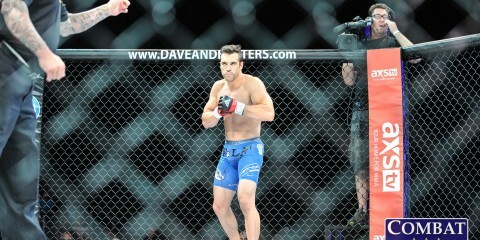 The former high school and college football player has obviously improved from there, but Hunt stands as his big win. While a victory over Hunt cannot be shrugged off, it’s also an achievable feat as long as a fighter is disciplined and doesn’t leave himself open to Hunt’s huge haymakers. Willis executed the perfect game plan for the Hunt fight, but he’ll have to do more against Blaydes. 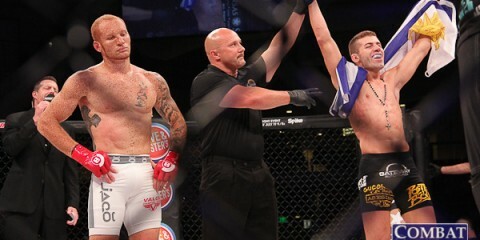 His other UFC victims — James Mulheron, Allen Crowder and Chase Sherman — are all also-rans at this point in their careers, so Willis hasn’t posted any other proof that he’s ready for the upper echelon of the division. Blaydes has the wrestling base to ground Willis. Furthermore, he has an excellent ground-and-pound attack that could spell doom for a guy who has already been stopped three times across his ammy and pro careers. Petela: I have to agree that Blaydes is going to slice through Willis with his superior wrestling and dictate where this fight is going to take place — with Willis’s back firmly planted on the canvas as he tries to defend the heavy hands of Blaydes. This one won’t make it to the judges’ scorecards, but it might serve as a valuable learning experience for Willis. This is Willis’s first real test against an elite fighter in their prime. Just gaining that Octagon experience could prove useful in the future for “Big Pretty.” Tai Tuivasa and Willis had words before and after their respective fights in Adelaide. 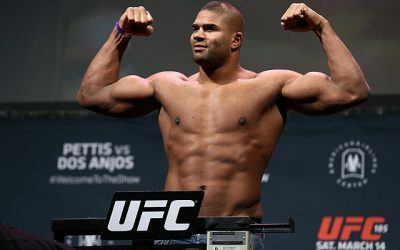 With the lessons Blaydes will teach him, Willis would be ready for an eagerly anticipated grudge match with “Bam Bam.” Willis also mentioned adding Ngannou to his “hit list” after Ngannou disposed of Willis’s American Kickboxing Academy teammate Cain Velasquez in just 26 seconds. 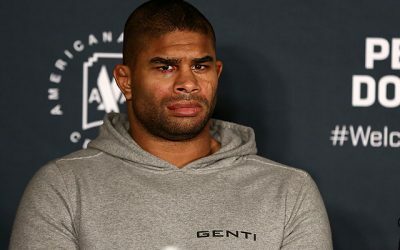 Willis is a long way from a shot at Ngannou, but the lessons from a beating by Blaydes could prove to be more valuable in the long run for Willis and his chances at becoming an elite heavyweight fighter in the UFC. Ryan MacDonald and Jordan Espinosa — do we need to know these names? Petela: Espinosa is a talented fighter who might be able to make waves at 125 pounds, but the fate of the flyweight division still seems very much in jeopardy. 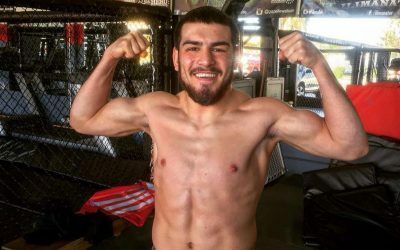 He is a two-time winner on Dana White’s Tuesday Night Contender Series, but he is coming off an injury that delayed his UFC debut from taking place against Mark De La Rosa at the UFC’s 25th anniversary show. He draws a tough test against Eric Shelton, who is looking to get his winning percentage back to even and make it 3-3 within the promotion. This should be a fun fight to watch, but what’s in store for the winner is very much still up in the air with the rest of the flyweight division. Henderson: I’ll touch on the flyweight division as a whole in more detail in the next question, but Espinosa’s fate is very much tied to the future of the weight class. If the 125ers stick around, then Espinosa could be a solid mid-tier fighter within the weight class. If we break down his record by weight, he’s 5-5 while competing at 135 pounds and 8-0 when tipping the scales at 130 or less. That’s a drastic difference in winning percentages that suggests he belongs at the lower weight. His bantamweight defeats didn’t come against divisional studs, either. So, he’d be a good bet to stick around if the flyweight division remains, but a horrible choice at bantamweight. As for MacDonald? He has a lot to prove. His resume, while unblemished to this point, contains far fewer tough opponents than a true UFC prospect should have encountered. MacDonald is going to struggle mightily to get past Chris Gutierrez, and there’s a decent chance that he’s one and done. Henderson: It’s a lot higher in the lineup than the usual sleeper fight, but how can we not mention the flyweight showdown between Jussier “Formiga” da Silva and Deiveson Figueiredo? The UFC may want to shut down the flyweight division, but how about a pairing of the winner of this fight against current champion Henry Cejudo instead? Formiga pushed Cejudo in their 2015 meeting, and Cejudo only managed to take a split decision in the fight. Meanwhile, Figueiredo is undefeated through 15 pro bouts and finished former title challenger John Moraga in the most recent of his four UFC appearances. Cejudo shocked the world with his quick finish of T.J. Dillashaw to defend the flyweight strap. He also gave the 125-pounders a glimmer of hope by talking up the division in the post-fight interview. Well, Formiga and Figueiredo have the skills to put on an entertaining contest of their own in a fight that would produce a fresh challenger in the division (how Formiga has gone this long without a crack at UFC gold is astounding). It’s time for the flyweights to remind fans, the UFC and its president, Dana White, just how exciting they can be. Formiga and Figueiredo will do just that. Here’s hoping White and company takes note and puts together a title clash between the winner of this fight and the new star of the division. Petela: Alexis Davis and Jennifer Maia. The women’s flyweight division is starting to develop some clarity with the recent announcement that champion Valentina Shevchenko will take on top contender Jessica Eye in Chicago at UFC 237. The fifth-ranked Davis has a win over Eye from when the two fought at bantamweight. Davis also once fought Ronda Rousey for the bantamweight title. She is looking to get back on track after dropping a unanimous decision to Katlyn Chookagian. Her opponent, Maia, is also seeking to get back to her winning ways after dropping her promotional debut to Liz Carmouche. As the flyweight division continues to sort itself out, the winner of this match-up will be only a few wins away from a crack at the title. Petela: This fight card marks the return of Maycee Barber, who told UFC President Dana White she is going to be a bigger star than Ronda Rousey or Conor McGregor. So it only makes sense to open up a bottle of Proper Twelve Whiskey and imagine what type of alcohol Barber will be peddling once she hits megastar status. 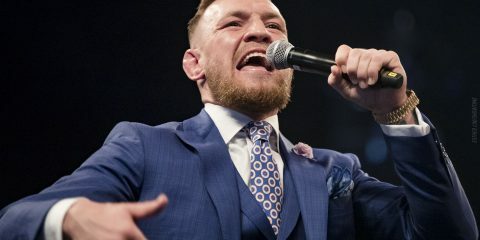 Henderson: Rapper Yelawolf has a new diss track out in which he says one sip of fellow rapper G-Eazy’s signature Stillhouse Black Bourbon Whiskey made him want “to go straight back to AA.” Many MMA fans have had similar sentiments about McGregor’s Proper Twelve, so I’ll leave that whole bottle to my fellow writer. Meanwhile, I’ll take inspiration from this card’s location in Nashville to pair it with two great albums from country artists who are far better than any mainstream tunes coming out of Nashville. So, I’m going to put Ryan Bingham’s “American Love Song” and Hayes Carll’s “What It Is” on my Spotify queue as I enjoy these fights.